is to diversify your investment portfolio by investing in the real estate asset classes. Real estate allows you to use other people’s money, or for this example, you can use a lender’s money that they lend you to help you purchase residential real estate investment properties. Essentially, you buy the properties and leverage debt, which is generally speaking, considered good debt. A win-win, right? Yes, if you do it correctly. If you want to become a real estate investor there are some things you must understand. First thing to understand is that if a real estate property does not produce cash flow, it is not an asset, it is a liability. The second thing to understand is your current financial picture and to make sure you have a sound financial education – this is very important. Remember, it is not the investment that is risky, but rather the investor. 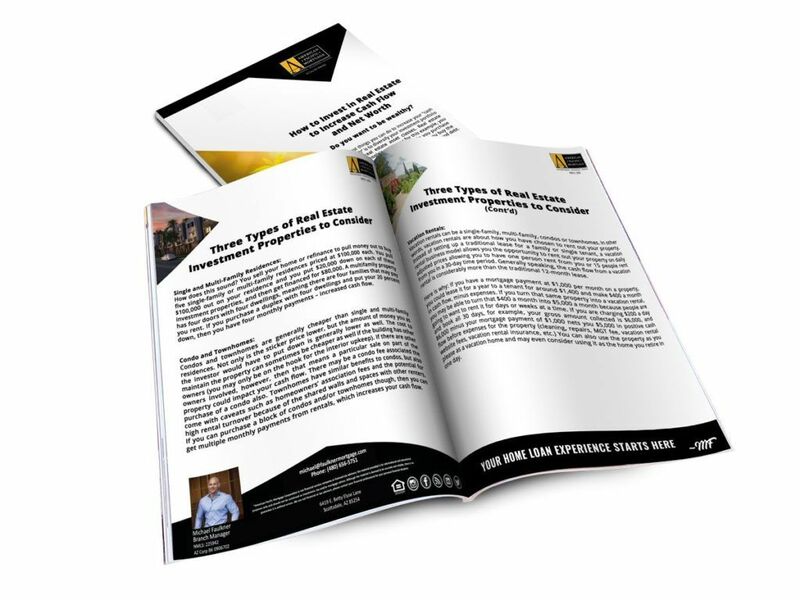 Download our real estate investing guide to learn the specific things you should know in terms of types of real estate investment properties that you can purchase– especially ones that are ideal for cash flow.